Mitchneck oversees the development of faculty success in scholarship and instructional activities in her role at UMass Lowell. She will present a framework for institutional transformation to help universities become more gender equitable. Mitchneck and her co-authors of “ Recipe for Change: Creating a more inclusive academy” review the literature on institutional change to promote faculty diversity. They propose essential features necessary for successful change and a more diverse workforce. 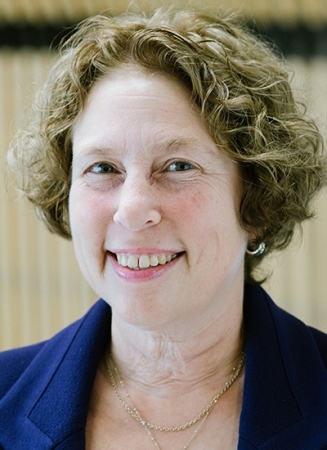 Beth Mitchneck, Vice Provost for Faculty Success at UMass Lowell, will present “Institutional Change for Equality: A Recipe for Change” as part of Chancellor’s Dialogue on Diversity and Interdisciplinarity series. Mitchneck has a dual research focus on gender equity in science, technology, engineering and math (STEM), as well as migration and displaced populations with an emphasis on countries of former Georgia and Ukraine. Mitchneck, also a former lead program officer for the National Science Foundation’s ADVANCE program, draws upon her own experience managing gender equity programs to highlight and focus on the importance of shared networks for achieving equity goals. She has published numerous articles in the popular press about her research and gender issues in venues such as Science, Foreign Affairs online, The Hill, and U.S. News & World Report, and is quoted in numerous articles about gender equity in STEM. All are invited to the event taking place in the Student Services Building, Room 160 from 3:30–4:30 p.m., with a reception to follow in Classroom and Office Building 2, Room 290. Register today.